Technically the Nobel Prize in Economics is not a Nobel Prize at all. The Sveriges Riksbank Prize in Economic Sciences in Memory of Alfred Nobel has been awarded annually by the Royal Swedish Academy of Sciences since 1969. The following Nobel laureates were all also U.S. immigrants. Simon Kuznets won the prize in 1971 “for his empirically founded interpretation of economic growth which has led to new and deepened insight into the economic and social structure and process of development.” He was born in Belarus in 1901 but emigrated with his family to the U.S. in 1922. Wassily Leontief won the 1973 prize “for the development of the input-output method and for its application to important economic problems.” Born in Munich to Russian parents, he moved to the U.S. in 1931 and later taught at Harvard. 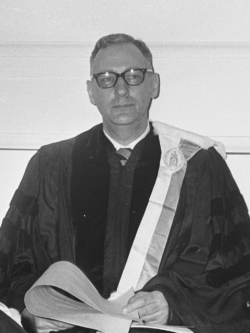 Tjalling Koopmans shared the 1975 prize for “contributions to the theory of optimum allocation of resources.” He was born in the Netherlands but taught at the University of Chicago and Yale. John Harsanyi shared the 1994 prize for his contributions to the development of game theory. Born in Hungary, he made his way to the U.S. by way of Australia. William Vickrey shared the 1996 prize for “fundamental contributions to the economic theory of incentives under asymmetric information.” Born in Canada, he came to the U.S. for high school at Phillips Academy before studying at Yale and Columbia, where he stayed for most of his career. Myron Scholes shared the 1997 prize for his work developing “a new method to determine the value of derivatives.” Born in Canada, Scholes came to the U.S. to study at the University of Chicago. Daniel Kahneman shared the 2002 prize “for having integrated insights from psychological research into economic science, especially concerning human judgment and decision-making under uncertainty” Born in Tel Aviv, Kahneman grew up in France but returned to Palestine in 1948 just before the creation of Israel. He came to the U.S. in 1958 to study psychology at Berkeley. 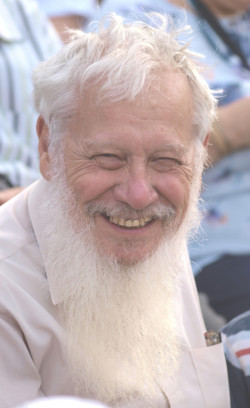 Robert Aumann shared the 2005 prize “for having enhanced our understanding of conflict and cooperation through game-theoryanalysis.” Born in Frankfurt am Main, Germany in 1930, he attended high school in New York and received advanced degrees from MIT before moving to Israel to join the faculty of the Hebrew University of Jerusalem. 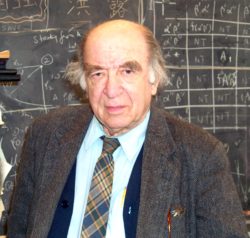 Leonid Hurwicz shared the 2007 prize “for having laid the foundations of mechanism designtheory.” Born in Moscow to Polish parents, he became a refugee in the U.S. after the Nazi invasion of Poland in 1939. Angus Deaton won the 2015 prize “for his analysis of consumption, poverty, and welfare.” Born in Scotland, he came to the U.S. to teach at Princeton University in 1983. Oliver Hart shared the 2016 prize for “contributions to contract theory.” Born in London in 1948, Hart came to the U.S. to gain his Ph.D. in economics at Princeton University. He later taught at MIT and Harvard.